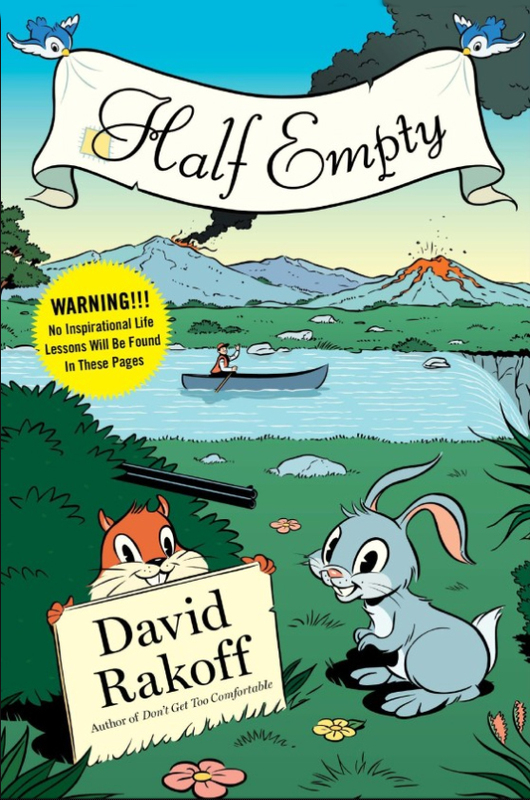 I’m reading the book, HALF EMPTY, by David Rakoff. Oh, it is so funny in a life-as-we’ve-all-experienced-it-at-some-point kind of way. I’m not even half-way through it, but I just had to write these thoughts down. First, let me say that if you become inclined to read it, consider purchasing the audio version of the book. The author narrates the book, and I truly believe there is no one on the face of the earth who can do a better job of reading this book out loud. His inflections, the subtleties of his words and the meanings behind his words make this even more enjoyable that reading the print version. Sometimes insightful, sometimes outrageously funny, sometimes saying out loud the things we think but often don’t say – Mr. Rakoff weaves satire and honesty with personal experiences and the hopes and dreams of life that we all have (and are sometimes afraid to admit).